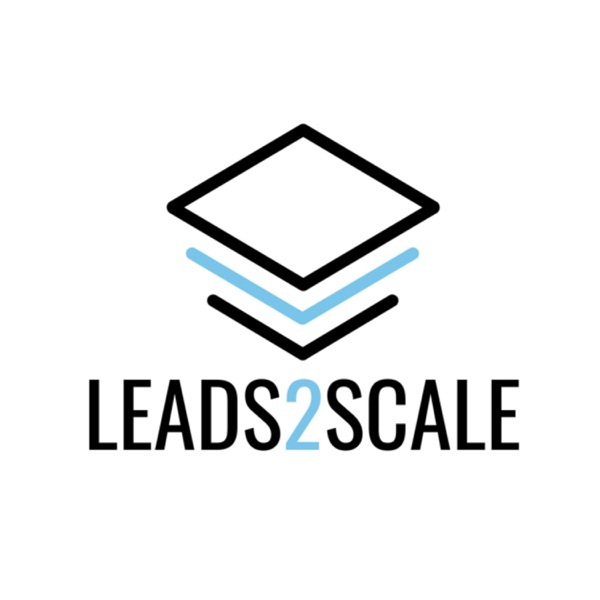 Leads2Scale | Listen Free on Castbox. This week’s episode of Social Media Week's Leads2Scale podcast features Travis Montaque, Founder & CEO at Emogi, a content engine for communication services that helps people have better conversations.During the conversation, Travis discussed his early career in investment banking and what led to him starting a tech company, why he thinks visual communication and emoji’s, gifs and stickers have become so embedded into how we communicate today, how he sees these new forms of communication shaping culture and language, some of the ways in which brands are now beginning to leverage the Emogi platform and how he sees this evolving in the next few years, and much more!Don’t forget to rate, review, and subscribe to Leads2Scale on your favorite podcasting app! This episode is brought to you by Social Media Week New York 2019! (Use code: Leads2Scale to save 15% on your pass!) Follow Toby and Social Media Week! @tobyd & @socialmediaweek on Facebook, Instagram, & Twitter. This week’s episode of Social Media Week's Leads2Scale podcast features Jeff Ragovin, Chief Growth Officer and Investor at Social Native, the #1 Platform for high performing branded content on demand.During the conversation, Jeff discussed his early work at Acxiom and Acronym and the leap he made into the startup world with Mike Lazerow and Buddy Media, the early days of getting Buddy Media off the ground and how ended up selling to Salesforce for $800M, and his latest venture, Social Native and how they are enabling brands like Crocs and Intel to deliver UGC driven campaigns.Don’t forget to rate, review, and subscribe to Leads2Scale on your favorite podcasting app! This episode is brought to you by Social Media Week New York 2019! (Use code: Leads2Scale to save 15% on your pass!) Follow Toby and Social Media Week! @tobyd & @socialmediaweek on Facebook, Instagram, & Twitter. This week’s episode of Social Media Week's Leads2Scale podcast features Rachel Tipograph, Founder & CEO of MikMak, a next generation eCommerce platform.During the conversation, Rachel discussed her time at GAP and some of the strategic initiatives she led during her time, the journey between leaving GAP and starting MikMak, How brands are leveraging the platform, her thoughts on Facebook’s recent announcements and what Instagram’s new checkout feature means for eCommerce companies.Don’t forget to rate, review, and subscribe to Leads2Scale on your favorite podcasting app! This episode is brought to you by Social Media Week New York 2019! (Use code: Leads2Scale to save 15% on your pass!) Follow Toby and Social Media Week! @tobyd & @socialmediaweek on Facebook, Instagram, & Twitter. This week’s episode of Social Media Week's Leads2Scale podcast features Mike Rothman, Co-Founder & CEO of Fatherly, a digital lifestyle brand that provides news, expert advice, product recommendations and other resources for parents. During the conversation, Mike discussed the beginning of his professional journey and experience as one of the founding employees of Thrillist, how his 10 years helping to scale the Thrillist digital media business provided him with the insights he needed to launch Fatherly, and how they are evolving their business into IRL activations and ecommerce.Don’t forget to rate, review, and subscribe to Leads2Scale on your favorite podcasting app! This episode is brought to you by Social Media Week New York 2019! (Code: Leads2Scale) Follow Toby and Social Media Week! @tobyd & @socialmediaweek on Facebook, Instagram, & Twitter. This week’s episode of Social Media Week’s Leads2Scale podcast features best selling author, entrepreneur, and Marketing Hall of Fame member Seth Godin! During the conversation, Seth discussed why he believes tension is so important in marketing, what he thinks is at the heart of great storytelling, why empathy is overlooked as a core strength of any great marketer, and much more.Seth will also be speaking at Social Media Week New York on May 2. Learn more about his closing keynote session here. Don’t forget to rate, review, and subscribe to Leads2Scale on your favorite podcasting app!This episode is brought to you by Social Media Week New York 2019! (www.socialmediaweek.org/newyork/attend code: Leads2Scale)Follow Toby and Social Media Week! @tobyd & @socialmediaweek on Facebook, Instagram, & Twitter. This week’s episode of Social Media Week’s Leads2Scale podcast features Jason Hsiao, Co-Founder & Chief Video Officer, Animoto. During the conversation, Jason discussed his early work at MTV and Comedy Central, his foray into digital video in the mid-two thousands, how Animoto started out and has evolved over the years and how he has kept pace with the rapid changes in video technology and consumer behavior.Jason will also be speaking at Social Media Week in New York on May 1 and you can learn more his session by visiting socialmediaweek.org/newyork.Don’t forget to rate, review, and subscribe to Leads2Scale on your favorite podcasting app!This episode is brought to you by Social Media Week New York 2019! (www.socialmediaweek.org/newyork/attend code: Leads2Scale)Follow Toby and Social Media Week! @tobyd & @socialmediaweek on Facebook, Instagram, & Twitter. This week’s episode of Social Media Week’s Leads2Scale podcast features Bryant Kohler, Head of Brand at Conscious Minds, a content agency that believes “Storytelling is the currency of human connection.”During the conversation, Bryant discussed some of his past and current work with adidas and Nike, how he is adjusting to the evolution of platform storytelling, what he sees are the near-term things that need to be addressed in Influencer Marketing.Bryant also spoke about a documentary that their sister company Conscious Productions produced called Social Animals that premiered at the 2018 SXSW Film Festival and which peeks into the digital and real worlds of today’s image-focused teenager, where followers, likes and comments mark success and self worth. Don’t forget to rate, review, and subscribe to Leads2Scale on your favorite podcasting app!This episode is brought to you by Social Media Week New York 2019! (www.socialmediaweek.org/newyork/attend code: Leads2Scale)Follow Toby and Social Media Week! @tobyd & @socialmediaweek on Facebook, Instagram, & Twitter. This week’s episode of Social Media Week’s Leads2Scale podcast features Rani Mani, Head of Global Social Influencer Enablement & Employee Advocacy at Adobe where she is currently working across Adobe teams to infuse influencer relations into their strategic planning.During the conversation Rani discussed what got her interested in the role, how Adobe has built, managed and sustained their influencer programs, her upcoming session at Social Media Week New York, and much more.This episode is brought to you by Social Media Week New York 2019! (www.socialmediaweek.org/newyork/attend code: Leads2Scale)Follow Toby and Social Media Week! @tobyd & @socialmediaweek on Facebook, Instagram, & Twitter. This week’s episode of Social Media Week’s Leads2Scale podcast features Brian Wong, Founder and CEO at Kiip, an in-app mobile advertising network.Brian has been named one of Business Insider’s Top 25 Under 25 in Silicon Valley, 30 Under 30 in Advertising and one of the 18 Most Important People in Mobile Advertising; Forbes’ 30 under 30, and Mashable’s Top 5 Entrepreneurs to Watch. During the conversation Brian discussed his founding story, why he is investing in Blockchain and how brands and advertisers can use it to provide transparency and better user experiences.This episode is brought to you by Social Media Week New York 2019! (www.socialmediaweek.org/newyork/attend code: Leads2Scale)Follow Toby and Social Media Week! @tobyd & @socialmediaweek on Facebook, Instagram, & Twitter.